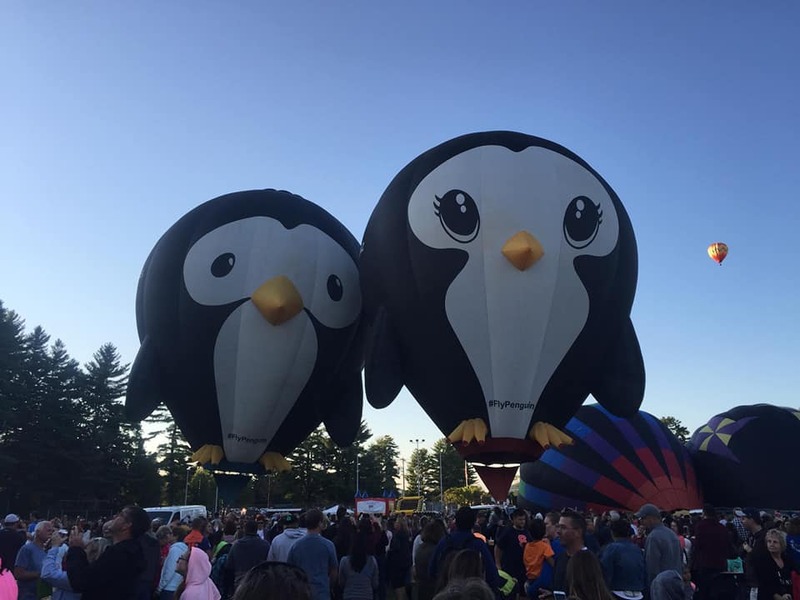 Our cute penguin couple Puddles and Splash, have been making their debut appearance at the 46thannual Adirondack Balloon Festival in Queensbury, NY. The event is a non-profit organisation run by all volunteers. The large and enthusiastic crowds were treated to a fabulous weekend of flying, rounded off with a stunning Nightglow – or ‘Moonglow’ if you want to use the local phraseology, with plenty of fun and entertainment for all the family including live music, a car show, craft fair and a host of children’s activities. Puddles and Splash made headline news in the Glen Falls Business Journal as they were caught kissing. They were in good company and joined by plenty of other special shape balloons – Scorch the dragon and a flying saxophone amongst them. 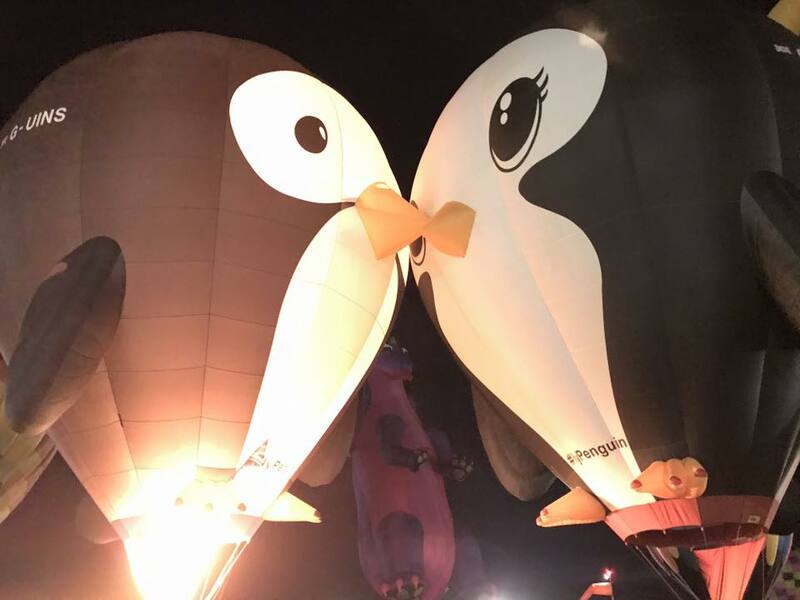 Puddles and Splash are now making their way across the continent to take part in the Albuquerque International Balloon Festival.